Genetically engineered crops have not hurt the environment and are not adversely affecting human health, according to a comprehensive study coordinated by the National Academy of Sciences. "Genetically Engineered Crops, Experiences and Prospects" is a newly released consensus report examining a range of questions and opinions about the economic, agronomic, health, safety or other effects of genetically engineered crops and food. Dr. David Stelly, Texas A&M AgriLife Research plant breeder in the Texas A&M University soil and crop science department in College Station, was on the team of 20 scientists from universities and organizations across the U.S. and beyond. The areas of study represented on the team were entomology, molecular biology and genomics, crop biotechnology, risk communication, economics, toxicology, food science, ecology, weed science, plant breeding, sociology, law, food safety and agronomy. The breadth of assessment necessitated one of the largest National Academy of Sciences review committees ever assembled. Members heard from 80 topical speakers representing diverse and occasionally polarized perspectives, as well as extensive input by the public, Stelly said. He said the report was written to provide unbiased assessments to the public and policymakers regarding varying claims and research about purported benefits, risks and apprehensions posed by genetically engineered crops and food. The committee's analysis of scientific literature and other published results was extensive, including more than 1,000 papers, Stelly said. The committee also included broader perspectives about genetically engineered crops, including economic, political and moral attitudes. "While there has been a plethora of literature about 'GMOs' and GE crops, a need remained for a contemporary broad-scoped study to carefully examine the evidence on what exists now and seems likely in the future, given how quickly genetic engineering tools are improving," he said. "The study needed to look at the evidence in multiple contexts, because everyone's viewpoint is very much contextually influenced, and those viewpoints affect how one assesses new information, or whether one even bothers to look at or assess it," Stelly said. "Pre-existing highly polarized viewpoints tend to be further polarized by additional scientific data, even if incontrovertible,"
Important findings by the committee included "no persuasive evidence of adverse health effects directly attributable to consumption of foods derived from genetically engineered crops." It also concluded "available evidence generally indicates favorable economic outcomes for producers of genetically engineered maize or corn, cotton and soybeans, although there is high heterogeneity." The review looked at over 20-plus years of genetically engineered crops, primarily herbicide-resistant and insect-resistant varieties of corn, soybeans and cotton, Stelly said. "The prevalence of these two types of traits and a few major crops in global agriculture is an intriguing aspect of the GE world—the result of many factors but certainly including monetary and legal constraints. Only now are other types of GE traits and crops emerging in the marketplace," he said. Statistics show genetically engineered crops can already be found in more than 25 countries and on 12 percent of the world's cropland. Produce includes those major crops of corn, soybeans and cotton, as well as papaya, squash, potatoes, apples and eggplant. "Interestingly, in the right circumstances, small producers can benefit the most, but not in all circumstances," Stelly said. "Corn, cotton and soybean are largely GE in the U.S., where the GE traits are valued by many producers for increased proficiency, flexibility, greater safety of crop production and a reduced ecological footprint." New technologies in genetic engineering and conventional breeding are blurring the distinction between the two approaches. Each encompasses diverse methods and leads to diverse products. All technologies for improving plant genetics have the potential to change foods in ways that raise safety issues. Based on current crops and modifications, reviewers determined genetic modifications for insect resistance have resulted in reduced yield loss, less insecticide application, greater insect biodiversity and some levels of resistance in target insects if management strategies were not followed. Herbicide-resistant crops have resulted in higher yields or flexibility in cropping, but some weed resistance has also evolved. Stelly said the consensus is that all regulations concerning genetically engineered crops need to balance biosafety and consumer confidence with impacts on innovation and deployment of beneficial products. "New genetic-engineering technologies, especially 'gene-editing' technologies, have already increased the precision of genetic engineering and prospective throughput, complexity and diversity, and this trend will undoubtedly continue," he said. "Targets will most likely include resistance traits for a broader array of insect pests and diseases in more crops." However, Stelly said new traits and novel trait augmentations could have a big impact, such as increased efficiency in nutrient use, like nitrogen-use efficiency, improved composition and digestibility, reductions in natural toxins and carcinogens, and improved photosynthesis. 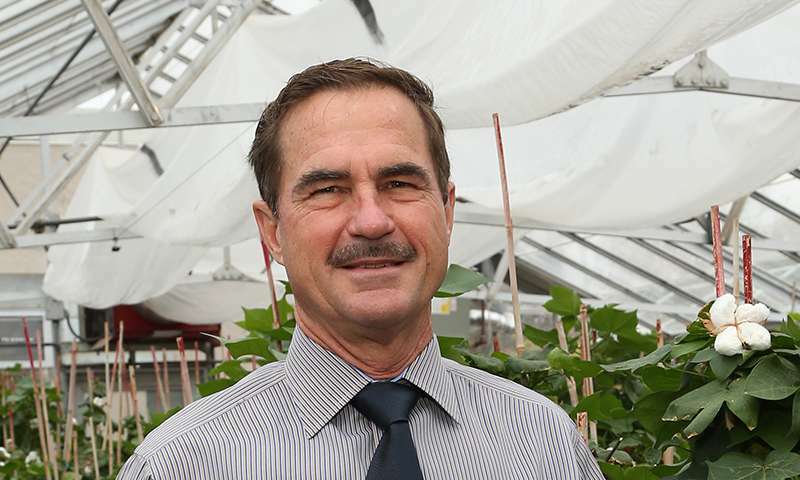 Improved drought stress resistance, for example, would allow for reduced water usage and improve yield stability across years – a major concern for producers worldwide, large or small, he said, adding many if not all of these would be relevant to Texas. "In the end, we must balance public investment in diverse genetically engineered and non-genetically engineered approaches to address food security," Stelly said. He noted that while genetic engineering is likely to deliver larger numbers and more diverse traits, breeders and breeding programs are needed in either case, because the genetic variation, regardless of source, must be molded into new superior genetic combinations, and validated through extensive in-field, multi-year testing. "We, as a committee, recommend consideration be given to the development of a tiered approach for assessing new genetic types as part of their approval process for GE and non-GE crops. "The rationale was that 'omics' technologies could be used to develop relatively quick and inexpensive means to scan any alterations of potential concern," Stelly said. "While imperfect, they would prospectively provide much more information than is currently available." Wow. A Blue-ribbon panel whitewashes all the evidence. Keep moving --nothing to see here! I wonder what ARE the hazards posed by GM crops to human health and the environment, according to these learned persons? Any hazards at all?? As the committee concludes, there are no known hazards associated with presently marketed GMO crops. This doesn't exclude one of my quibbles, that RoundupReady crops have led to greatly excessive use of Roundup (glyphosate). The widespread detection of this chemical in the environment and in our bodies is cause for caution, in my opinion, despite the lack of documented ill effects - other than increasing weed resistance to this weedkiller. And this also doesn't exclude the possibility that increasing development of GMO varieties might yield some harmful product, as the committee notes. We can proceed, but vigilance is required. GMO's are perfectly safe, that's been obvious to anyone with any training and/or intelligence since the beginning of this airhead's controversy. Sadly, there are plenty of incompetents out there who will never fathom the truth. When is science going to break free from its antiquated Cartesian tendency to view the natural world only in terms of unrelated and isolated constituents, rather than as an integrated and mutually-dependent web in which the whole is greater than the sum of its parts? GMOs cannot be viewed in isolation from this 'whole'. When one considers the add-on consequences of increased use of glyphosate (a 'probable carcinogen' according the World Health Organization), the disruption of natural ecosystems leading to a collapse of keystone pollinator populations, the inherent toxicity of Bt crops, the growing incidents of pest and disease resistance (resulting in even more chemical use), the increased rates of malnutrition due to a monocropped over-production of high-carbohydrate low-nutrient staple foods, and the economic dependency created by a corporate control of global seed supplies and food production systems, it becomes clear that GMOs are neither safe nor sustainable. But humans and animals are not genetically modified to be 'herbicide-resistant'. Might be an issue. No. That won't be an issue. That is only in part because the herbicides generally used for this is roundup with its active ingredient being none toxic to mammals and birds. Contrary to the hysterical hate campaign many environmentalists seem to be waging against roundup, roundup is environmentally one of the safest herbicides of them all. 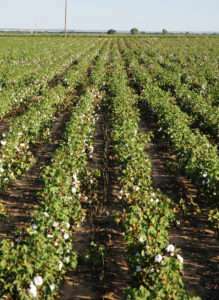 In addition, such herbicides will continue to be used on farms whether with or without GM crops. Scientists know it's all interrelated. The thing is: you can't do science that way. To do science you have to establish cause-and-effect relationships. The more variables you look at at once the larger your dataset has to be to get a valid analysis (this is e.g. why climate science requires HUGE amounts of data). If you look at too many variables at once the amount of data you'd need to get any result becomes unfeasably large. So you always have to pare your system down to one you assume is representative of the whole. What is truly detrimental, is corporate ownership of these important crops and their engineered herbicides that treat the natural counterparts as weeds. When is science going to break free from its antiquated Cartesian tendency to view the natural world only in terms of unrelated and isolated constituents, rather than as an integrated and mutually-dependent web in which the whole is greater than the sum of its parts? GMOs cannot be viewed in isolation from this 'whole'. When one considers the add-on consequences of increased use of glyphosate (a 'probable carcinogen' according the World Health Organization),[...]economic dependency created by a corporate control of global seed supplies and food production systems, it becomes clear that GMOs are neither safe nor sustainable. And the glaringly obvious fact that years of research which established these issues were entirely ignored by this group. REEKS VOLUMES. It therefore appears that this is just more Boutique "Science", peddled to please the Usual Suspects, and all on the Taxpayer's dime. I look forward to the inevitable blowback. As it turns out, the findings of this committee have been woefully misrepresented by the writer of this article, which one can only assume was a deliberate effort to slant the report to appear to favor Big Ag/Chem/Bio's aggressive shift to GMO and chemical-intensive food production. Which is entirely at odds with what this article's writer claims. So much for objective journalism. The lower case was intentional.